The UAE’s Vice President and Prime Minister and Ruler of Dubai Sheikh Mohammed Bin Rashid Al Maktoum congratulated the UAE on winning the Expo 2020 bid and promised that the event would “astonish” the world. “To the world: we renew our promise to astonish you at Expo 2020. 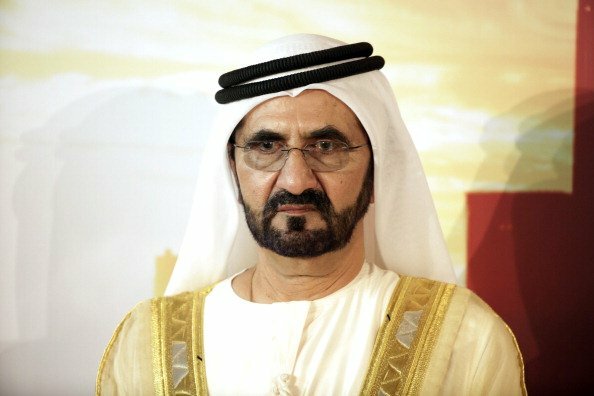 Dubai will bring to life our vision: Connecting Minds, Creating the Future,” Sheikh Mohammed tweeted after the win. Dubai beat rivals Sao Paulo (Brazil), Ekaterinburg (Russia) and Izmir (Turkey) for the right to host the mega event. “I extend my thanks to HH Sheikh Khalifa for his great support, and to every country that voted for Dubai to host Expo 2020. “To all people in the UAE: your support and enthusiasm fuelled our victory at Dubai. Today, you are all champions,” he wrote. He also praised the Dubai 2020 bid committee for all their hard work. Dubai’s Expo 2020, themed ‘Connecting Minds, Creating the Future’, will help build a better future for the region’s youth, he said. “The Expo will breathe new life into the ancient role of the Middle East as a melting pot for cultures and creativity,” he tweeted. The chairman of Dubai’s Expo 2020 Bid Committee, Sheikh Ahmed bin Saeed Al Maktoum, who is also chairman and CEO of Emirates Group said: “We are immensely proud to have been awarded the honour of hosting World Expo 2020 and thank the member states of the BIE for entrusting us with the spirit and values of the Expo. “We will protect and be guided by them in delivering an exceptional Expo with a lasting legacy that will touch the lives of people across the globe for generations to come. “The competition has been fierce and we respectfully commend our competitors. “This is a moment to be embraced and owned by the entire nation and beyond – this is your Expo. It is an Expo for the World. The vision of our bid has always been about more than just Dubai and the UAE. “It has been about creating opportunity for the wider region and developing a truly global platform to find the innovative solutions required to address the future of Mobility, Sustainability and Opportunity, that impact all of our futures.